We were full of seasonal flavours and ingredients for last month's theme of Spice it up. You can read the round up here. We're staying close to home for this month's theme. I'm looking for local recipes and local ingredients. Is there's a cake your county is famous for? Do you know a bake specific to a town or village? I'm also interested in local ingredients such as farmhouse butter, fresh eggs and locally milled flour. If you haven't got a cake recipe that is local to you perhaps you have found one on your travels that has taken your fancy. Therefore the theme for this month is BAKE LOCAL. 1. 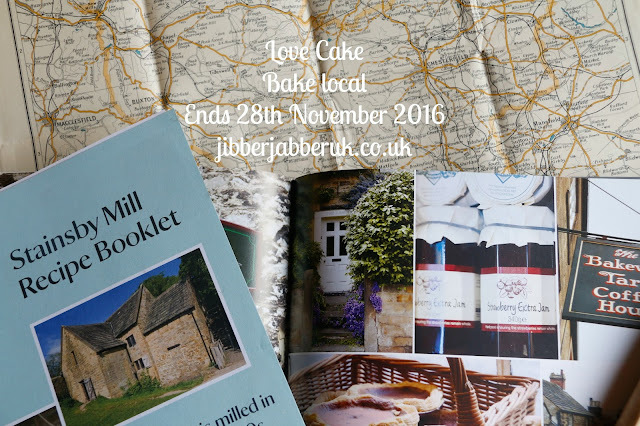 Please make sure your entry conforms to this month's theme of BAKE LOCAL. 3. Enter the URL (web address) of your post into the Linky at the bottom of this post. Once the link closes on Monday 28th November at 23:55 no more entries will be accepted.